Whether you’re trying to stick to a strict budget, or working to create a cost effective mailing, it is important to have an educated understanding of what you’ll expect to spend on your fundraising appeal. You need to understand how much your entire package will cost so that you can reasonably project your net revenue for the project (how much you’ll make after subtracting costs). Over the long term, paying close attention to costs will help you make better decisions about where to invest your organization’s resources to increase the return on this important investment. The easiest and most obvious way to know what your appeal will cost is to calculate how much you’ve spent per piece in the past. But what do you do if that data isn’t available to you? And what do you do if at some point you need to shake things up a bit and make some changes to your mailing? You need to know how much those changes will cost. Printing costs for your appeal package will generally run somewhere in the neighborhood of $.20-.80 per piece for mailings between 1,000 and 10,000 pieces. Where within this range you fall depends on all sorts of things such as how long your letter is, how many colors are in your design, and the type of paper you choose. The biggest influence, on printing costs, however, is the quantity you are printing. The price per piece goes down significantly as quantity goes up. If you aren’t creating a unique, appeal-specific design, and instead are planning to use your standard organizational letterhead and envelopes, your printing cost will likely be much lower. Those standard, multi-use items are typically ordered in large quantities which keeps costs much lower. 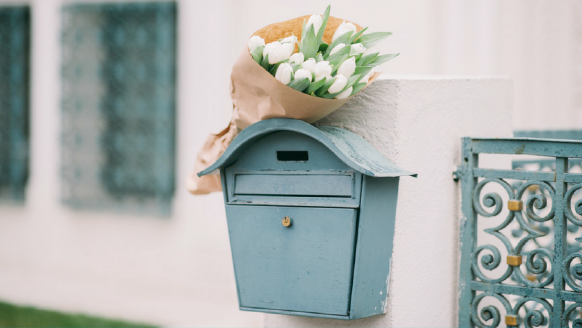 Nonprofit postage rates typically fall in the neighborhood of $.11-.17 depending on the thickness of the package, the range of zip codes, and the level of automation you use, which is where a professional mail house really helps lower postage costs. Of course, 1st class is always an option as well, although sometimes less cost effective. If you use a professional mailing service (which I highly recommend for mailings over 250 pieces), you can find rates around $.22 per piece which would include printing addresses and indicia, automation zip code sorting, mail merge, printing of your letter’s text, hand insertion, and sealing. Even with the service fee mailing houses charge, outsourcing your mail processing can be much less expensive than mailing 1st class. Don’t forget to consider the time you’ll save and the frustration you’ll avoid. If you want to branch away from the same standard letterhead you’ve used for years, or if you need to design a campaign specific reply device, you’ll need the help of a graphic designer. If you work hard, you can find a great designer who, because you are a nonprofit, will give you a rate around $500-$700, maybe even pro bono. For a “standard” appeal package (1 sheet of 8.5 x 11 sheet of paper, 2-color design, #10 outer envelope, with a 1-piece non-personlized reply device) we’re looking at somewhere between $.58 per piece for a 10,000 piece mailing to $1.03 per piece for a 1,000 piece mailing. Once you’ve made some decisions about your appeal package, you can create a projected budget. Then you can use that information to project how much money your appeal will ultimately raise for your organization. Need more help with your appeal? Get the Smart Guide to a Smarter Annual Appeal!